One of the most frequently asked questions by those charged with felony and misdemeanor offenses is, “what will happen to me if I’m convicted?” This question is surprisingly more complicated than you may think. As it relates to a conviction, there are direct and indirect (commonly referred to as collateral) consequences. Direct consequences are those potential penalties provided for by law in the criminal statute. Jail, prison, probation and fines are examples of direct consequences. Generally, direct consequences are imposed by the judge at the time of sentencing. Indirect or collateral consequences are often far worse than the potential direct consequences and include those things that generally make a person’s future more difficult and success in life more challenging. Indirect consequences are sometimes ordered by a judge and sometimes simply unavoidable. The reason it is important to have an understanding of collateral consequences is that recent cases have held that it is proper for judges to consider these indirect consequences when fashioning a fair sentence. A highly experienced and effective criminal defense lawyer can use his or her knowledge and understanding of collateral consequences to persuade a prosecutor to offer a better plea bargain or a judge to impose a less harsh sentence. Some collateral consequences are more obvious than others. For example, difficulty in obtaining employment or obtain promotions are well-known and often discussed indirect or collateral consequence of having a criminal conviction. Years ago, a conviction was difficult to discover by a potential or current employer but this is no longer the case. Many websites now offer a complete record of a person’s felony and misdemeanor convictions for only $10.00 and some website keep track of mug shots and other public information and publish it on the internet for free. This can present an impossible burden for many job applicants or those trying to work up the ladder in their career. For professionals, a criminal conviction can make securing desirable employment virtually impossible. Other collateral consequences are not self-evident, or are at least, less likely to be considered. 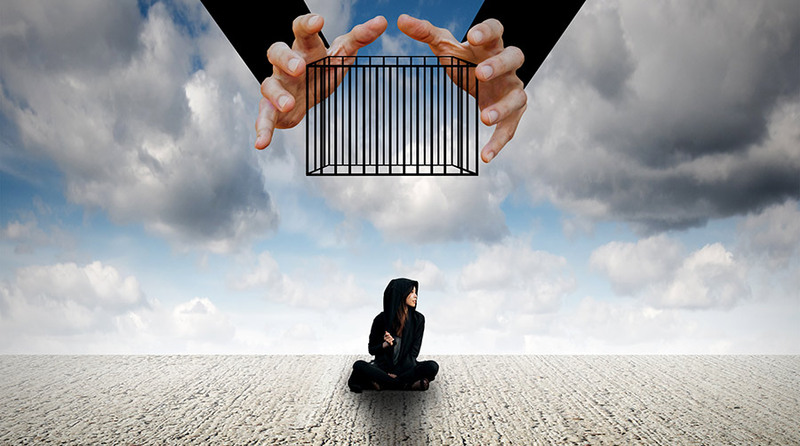 Unfortunately for many defendants, lawyers infrequently discuss collateral consequences or even think about them when advising a client to accept a plea bargain or take a case to trial. This is a colossal failure in legal representation because, as stated earlier, the indirect or collateral consequences are often far worse than the direct consequences (potential jail, probation or fines). Collateral consequences are sometimes offense specific and sometimes universal. This means that some of them can impact a defendant convicted of only one particular type of crime and other collateral consequences are potentially experienced with any crime. For example, a person convicted of domestic violence may not be able thereafter to possess a firearm. This would not be the case with many other offenses. Another example would be criminal sexual conduct. A person convicted of a CSC offense may not be able to live near a school or park. This would not be the case with most other types of felony offenses. An example of a collateral consequence that follows from any felony conviction is the prohibition against possessing firearms. According to Frederick Block, senior United States District Judge, because the effects of collateral consequences of a conviction can be “devastating,” judges should consider them when imposing a sentence. Professor Michelle Alexander has explained, “a myriad of laws, rules and regulations operate to discriminate against ex-offenders and effectively prevent their reintegration in the mainstream society and economy. These restrictions amount to a form of ‘civil death’ “. The Defense Team with LEWIS & DICKSTEIN, P.L.L.C. is widely respected for being abreast of the latest and most persuasive arguments that can be made to mitigate, reduce or get charges dismissed by prosecutors and also influence judges to order reduced sentences. If there is no way to avoid a conviction and the client needs to get the best deal possible, our lawyers are in the best position possible to help. Call us today at (248) 263-6800 for a Free Consultation or complete a Request for Assistance Form and a highly experienced Michigan criminal defense lawyer will promptly contact you.